What is a Professional Organizer? :: Organize Long Island Inc. The mission of the Institute for Challenging Disorganization is to benefit people affected by chronic disorganization. The ICD explores, develops and communicates information, organizing techniques and solutions to Professional Organizers, related professionals and the public. What is the ICD Code of Ethics? The ICD Code of Ethics serves the following purposes: Supports the mission of ICD. Establishes principles that define ethical behavior and best practices of ICD subscribers. Serves as an ethical guide designed to assist subscribers in constructing a professional course of action that best serves those using the services of ICD subscribers. Provides the basis for processing ethical complaints and inquiries initiated against those who are subscribers of the ICD. What is the NAPO Code of Ethics? The NAPO Code of Ethics is a set of principles to provide guidelines in our professional conduct with our clients, colleagues and community. 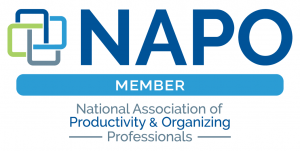 As a member of NAPO, I pledge to exercise judgment, self-restraint and conscience in my conduct in order to establish and maintain public confidence in the integrity of NAPO members and to preserve and encourage fair and equitable practices among all who are engaged in the profession of organizing. 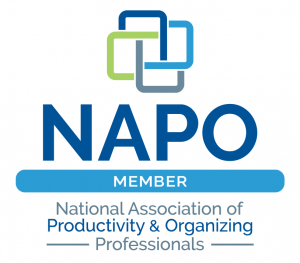 What is NAPO’s Golden Circle? NAPO’s prestigious Golden Circle was formed in 1990 to recognize members who have attained an elevated level of experience. The Golden Circle acknowledges the expertise of members who have been engaged in the business of organizing for at least five years and have been a NAPO member for at least one year.